A comedy of mistaken identity, featuring two sets of Identical twins (one female pair, one male pair), the male pair of which were separated in infancy. Confusion, tightly orchestrated mayhem and a touching final reconciliation: a perfect comedy for commercial managements, repertory theatres and amateur societies. (28) The bridegroom, just married to ANGELINA. A bit of a wild boy, but attractive and likeable. He was a Barnado's boy (with DESMOND), having been separated from his mother and his twin brother at their christening. (27) DAVE's best man. Shyer than DAVE - well behaved, with a strong moral code. (55) Mother of the Reid twins, and proprietress of the hotel. Dowdy and a spirited moaner. Copes as best she can with the disappearance of one of her twins as a baby. (22) Receptionist at the hotel. Attractive and sensible. (22) VAL's identical twin sister. Likes men, drink, wild times - and the name Desmond in a man. (45) DAVE's mother-in-law. Draconian, but not unattractive. (21) DAVE's wife. Very pretty. Strong - a good match for DAVE. (70) Deaf and easily confused. 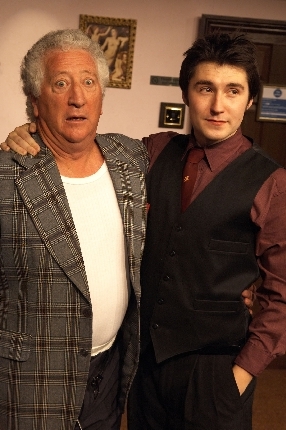 He was the Vicar at the Reids' christening, and is an old friend of FLO's. CASTING NOTE:The two sets of identical twins should not be played by real twins. It is necessary for the audience to be able to distinguish clearly between DAVE and REID, and between VAL and VAN. The action of the play takes place one Saturday night and the following Sunday morning in FLO's small hotel at Willard's Bottom. "DOUBLE OR TWIN is a brilliantly constructed situation farce. [The Authors] have created classic characters who lie, sweat and laugh their way out of sets of circumstances which, I imagine, would have an audience shaking with laughter. This is a genuinely funny farce with a great plot, which is quite an achievement." (or contact Colin Wakefield colwake@btinternet.com ). Dutch: DUBBELSPEL (translated by Maja Reinderman). A light comedy featuring a group of lawyers away for a weekend conference. Misunderstandings, narrow escapes and attempted sexual infidelity, but with an unusual undercurrent of personal discovery and family reconciliation. Ideal for commercial managements, repertory theatres and amateur societies. HUGO BARNES Q.C. (51) A senior silk - eager for promotion to the High Court bench. NICK WILLMOTT Q.C. (51) HUGO's colleague and friend. Less ambitious. HILARY WILLMOTT (42) NICK's wife. Attractive and intelligent. LIZ LUMSDEN-CLARK (44) HILARY's sister. A Circuit Judge. GERALD BLUNT (25) SIR HARRY's political secretary and minder. TONI TAYLOR (21) A solicitors' secretary. Bright and attractive. CHRISTIAN (19) A student. Personable and inquisitive. The action of the play takes place one Saturday afternoon and evening in a bedroom suite at the Harcourt Hotel, Birmingham. 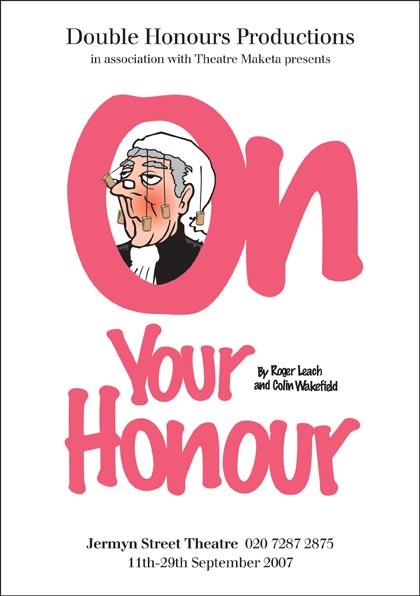 ON YOUR HONOUR is published by JOSEF WEINBERGER PLAYS (020 7580 2827) who handle contracts and to whom all enquiries should be addressed. Italian: SUL TUO HONORE (translated by Maria Teresa Petruzzi). Dutch: ZUIVER DE BALIE! (translated by Maja Reinderman). Rights handled by Toneeluitgeverij VINK B.V., Postbus 36 – 1800 AA ALKMAAR, The Netherlands. (Or contact Colin Wakefield colwake@btinternet.com). An intriguing and unusual thriller, multilayered and full of unexpected twists. 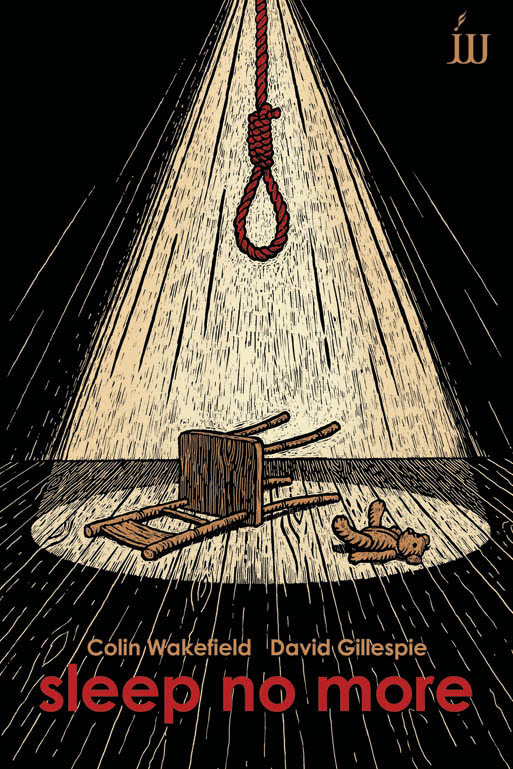 A ‘Russian doll’ of a play, it moves from a seemingly innocuous domestic playreading, through a murder mystery in the classic style, to a final terrifying climax. 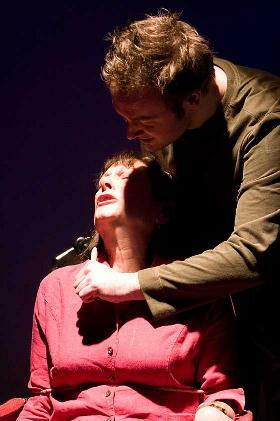 AUDIENCE WITH MURDER was first performed in the Theatre Truck, Edinburgh, in August 2004, produced by Theatre Maketa. 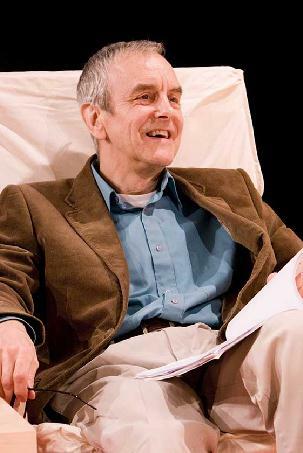 It was revived at the Jermyn Street Theatre, London, in February 2006 by Double Honours Productions. "A string of startling denouements, utterly confounding audience expectations... this many layered entertainment, complete with poison, gunshots and bloodshed, has wicked ways of bringing the dead back to life that will amuse and baffle with their unexpected impudence." Exquisitely plotted... An evening of taut and suspenseful entertainment, shot through with the kind of dark humour that helps to ramp up the tension." 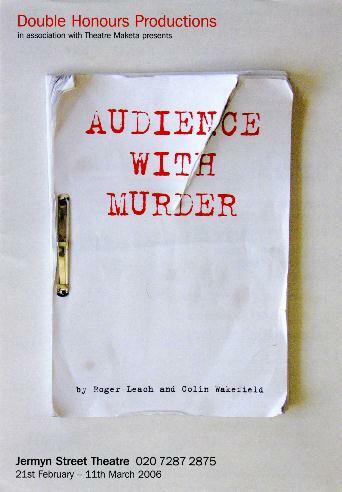 AUDIENCE WITH MURDER has been translated into German, Dutch and Italian. A Polish translation is in preparation. German: TÖDLICHE PROBE (translated by Raymund Stahl). Rights handled by Pegler Verlag, Maximilianstraβe 21, 80539 München, Germany. (Or contact Colin Wakefield colwake@btinternet.com. Dutch: EEN MOORDVERHAAL (translated by Maja Reinderman). Rights handled by Toneeluitgeverij VINK B.V., Postbus 36 – 1800 AA ALKMAAR, The Netherlands. Italian: DELITTO IN PUBBLICO. Contact: Colin Wakefield colwake@btinternet.com. A private family theatre has been closed for sixty years following the accidental death of a child during rehearsals for a Victorian thriller. Now the theatre is to be reopened and the very same play revived, but with tragic and haunting consequences. SAL (20) A stage manager. MICKY (52) A theatre director. Note: EVA should be played by a young adult. The stage of a small theatre. SLEEP NO MORE is published by JOSEF WEINBERGER PLAYS (020 7580 2827), who handle all contracts and to whom all enquiries should be made. SLEEP NO MORE has been translated into German and Dutch. German: RUHELOSE SCHATTEN (translated by Raymund Stahl). Dutch: DAN HANG JE (translated by Maja Reinderman). Rights handled by Toneeluitgeverij VINK B.V., Postbus 36 – 1800 AA ALKMAAR, The Netherlands. (Or contact Colin Wakefield – colwake@btinternet.com ). For Helen, a gallery owner, and her husband Max, a psychologist, the morning of an acquaintance’s funeral puts questions about their life together under the microscope. They discover the need to re-evaluate their marriage. Their daughter Paula and her new husband Oliver are staying with Max and Helen for a few hours prior to setting off on their honeymoon. Their young marriage is already showing clear signs of tension. Philip, a client of Max’s, drops by to discuss his relationship problems and suddenly finds that he too has to rethink his life completely. In this intriguing and witty new play the successful German playwright Peter Bradatsch creates a set of characters who seek to master their problems seriously, but with humour, through self-deception and lies. A bitter comedy about relationship breakdown, loyalty and love.